Cosmetics and other personal care products are at risk of becoming contaminated through regular everyday consumer use, just from human contact and being exposed to bacteria and fungi naturally found on our skin. And many of these products are often stored in the bathroom, where warm, moist conditions make them vulnerable to microbial growth. So it makes sense that cosmetics and other personal care products include preservatives and other ingredients that prevent or inhibit microbial growth. 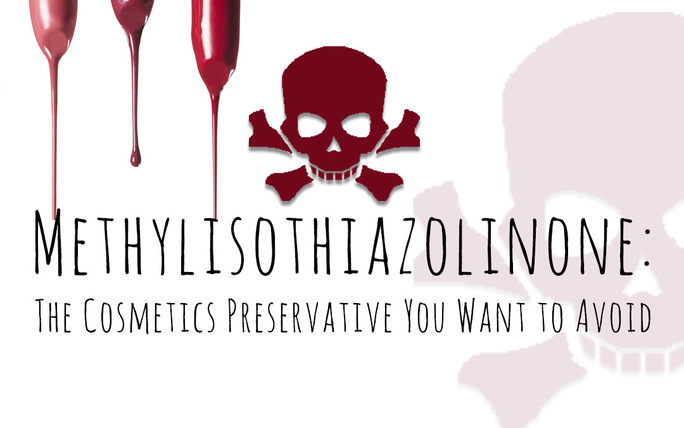 Methylisothiazolinone (MI) and Methylchloroisothiazolinone (MCI) are preservatives commonly used in cosmetics and personal care products to prevent microbial growth. They can be found in shampoo, conditioner, body wash, lotion, mascara, shaving cream, baby lotion, hairspray, makeup remover, household cleaner, and a variety of other products. Unfortunately, these harmful ingredients have been linked to lung toxicity, allergic reactions and possible neurotoxicity. Due to concerns about increasing rates of sensitivity to these preservatives, some (but not all) cosmetic and personal care product manufacturers have begun removing it from leave-on products such as lotions. PUREhaven ESSENTIALS Customers Have Nothing to Fear! Each PUREhaven ESSENTIALS product is developed in our USDA Organic Certified manufacturing facility in Rhode Island, crafted with the safest ingredients and the finest formulations. All of the ingredients we use are tested for safety, toxicity, carcinogenicity, mutagenicity, potential skin and organ irritation, and environmental impact. PUREhaven ESSENTIALS never uses harmful preservatives like MI and MCI. Instead, many of our products include Leuconostoc/Radish Root Ferment Filtrate. Derived from radishes fermented with Luconostoc Kimchii, a lactic acid bacteria that has traditionally been used to make the Korean dish kimchi (fermented cabbage), this ingredient consists of an isolated peptide that has been shown to have antimicrobial benefits. This all-natural preservative system helps to keep our products microbial free and it’s very mild, with low to no irritation potential.